The mission at Salem Memorial District Hospital (SMDH) is to "provide quality, patient centered healthcare with compassion and professional excellence to every patient, every encounter, every time". At SMDH we strive to provide the highest quality healthcare to our patients and provide services that are needed by the residents in the community in which we serve. We are constantly looking to improve existing patient services, as well as adding patient services to meet the health care needs of Dent County and the surrounding communities. Salem Memorial District Hospital is pleased to announce, we are now offering full-time and in-house mammography services. 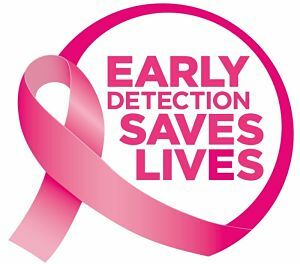 With the addition of this new service we will be working to create a Breast Care Program for our hospital district. In the past, monthly mammography services have been provided by Missouri Baptist Medical Center Mobile Mammography Van. Because of limited scheduling it has often been difficult to schedule patients and especially those needing more urgent diagnostic imaging. It has been a goal of SMDH to bring mammography services into the hospital but because of limited funds for capital purchases, this has been delayed. 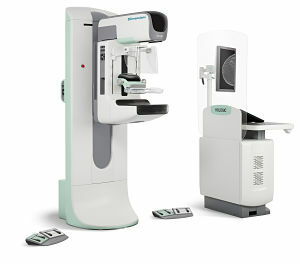 Due to the generous donation of Stephen and Sally Di Pierdomenico, we have purchased a new Hologics Mammography Unit with full Digital 3D capabilities. This machine is equipped with the latest technology available in the industry and SMDH will be one of the first hospitals in the area with this technology. Sally Di Pierdomenico is a breast cancer survivor; she was diagnosed in 2011 at the age of 78 from an annual mammogram. Early detection was crucial with her type of cancer, which she credits to her access to annual mammograms. The Di Pierdomenicos wanted to make sure other women were also helped and were going to make a donation to a women's program in Joplin, but after learning about the needs of SMDH from their son-in-law Hershel Moser, who is a member of the SMDH Foundation Board, they decided a mammography machine was more greatly needed in Salem and would best serve the women of Dent County and surrounding counties as well. They are the parents of Julia Moser and have ties to the area. "We hope the addition of this machine will encourage all women in the area to get yearly mammograms. We both feel it is very important and wanted to improve access to the latest technology for the women of this area," Sally Di Pierdomenico said. Dent County is underserved in providing health care for women's programs, including regular mammography screenings. Women will no longer need to travel long distances in order to receive high quality screenings and diagnostic breast imaging. SMDH is also applying for a grant, which if awarded, will allow us to provide discounted and free mammography services to qualified individuals. This will allow us to fully serve the mammography needs of patients and residents in our hospital district. The Di Pierdomenicos have graciously given funds to cover this program until the grant is awarded. To see when you can schedule an appointment, please call the Radiology Department at 573-729-5917 extension 2430. The next date for 2019 Health Screenings @The Armory for those planning ahead are: February 6th and 7th from 6 a.m. - 9 a.m. each day. Remember to print and fill out the Screening form to bring with you to quicken your wait time. Are you interested in having your Mammography testing done right here at SMDH? Check out the flyer for dates for the remainder of 2017 and how to schedule an appointment with our new service. Are you looking for care closer to home? It might surprise you to know you can ask your physician to send your order to us. Click to read just some of the services we offer for you to consider SMDH for your tests or treatment, because we are committed to every patient, every encounter, every time. Have you heard? We have a sleep lab. Do you have symptoms of sleep disorders and want to get checked close to home? Do you need wound care...and want to receive it close to home? Wound Care providers Evaluate, Treat, Follow-up and Teach. Specialized treatment in the area of non-healing wounds, including venous and arterial insufficiency when normal healing process is delayed. Therapist will evaluate wound and develop a plan to restore the best healing rate possible. Call Lisa Monroe, MSPT, CWS, at 573-729-5917 ext. 5620, American Board of Wound Management for over 12 years. Listen to our KSMO spotlights on Salem Memorial District Hospital with interviews throughout the year. Click for 2018 interviews. ***Previous year interviews can be heard by clicking 2017 interviews. For patients and visitors alike, we offer the convenience of "FREE WIRELESS" connections in all areas of our hospital campus. The American Association of Poison Centers has made available an online triage tool for public use in the event of a poison exposure. If an individual has collapsed, had a seizure, has trouble breathing, or can't be awakened, call 911 immediately. PoisonHelp.org provides information and treatment guidance for exposure to an extensive list of hazardous products and substances. The tool also provides an immediate user assistance hotline at 800/222-1222 or 911 based on the patient's condition. Our Emergency Services is available to assist you in any poising event as we are committed to every patient, every encounter, every time. Do you know the warning signs for a heart attack are different for men and women? Don't hesitate in calling for help if you are suffering from a life threatening event, because we are committed to every patient, every encounter, every time. Healthfinder.gov offers this quick quiz widget to instantly provide physical activity tips and recommendations based on your answers. We hope you can effectively use the results of the quiz to be more active in your lifestyle. You can either click on the icon, or click on the link to use this interactive widget online. Take it often as your activity level changes. Hometown values mean...our attention is centered on YOU. So please consider becoming a patient or renewing your patient care at the SMDH Family Medicine clinic for your better health, where we are committed to every patient, every encounter, every time. Walk-ins welcome, and same day appointments are now being offered at SMDH Family Medicine clinic. We offer complete care for all ages. SMDH supports the private and secure method to the benefit of all of our patients allowing physicians to access your medical information in an emergency through the Health Information Exchange (HIE) and also when your doctor needs your records immediately for better care. Salem Memorial District Hospital is recognized as a leader in Public Health Reporting in the Missouri statewide Health Information Exchange (HIE). To learn more about the benefit you receive when you opt into an HIE, click here. Salem Memorial District Hospital website provides many sources for health information. This is something we hope will be very useful to our patients, their families and those in our community who want to know what kind of services we offer. There are also many other features we hope you will explore on our website. Using the Health Information menu option under the COMMUNITY menu, you can "look up medications" in the drug search, find interesting health information or ask the FastNurse Research Correspondent a question and get a reply to your own personal question. We hope you take advantage of this valuable resource. Interested in getting assistance to quit tobacco use? This offer might just be the one for you. Have children/grandchildren in sports? SMDH Family Medicine is providing FREE Comprehensive Sports Physicals from JULY 24-AUGUST 4. Call 573-729-8000 for more information. We want you there! Air Evac Lifeteam is hosting a ribbon cutting ceremony and open house on June 27th from noon-6pm. Tour our new base on SMDH campus, our aircraft, meet the crew and enjoy some refreshments. Did you know…SMDH just held the biggest blood drive to date on Friday, June 23rd? We collected 34 units of blood! Thank you to all who donated and to those that helped in any way. Way to go SMDH and our hometown heroes for helping Salute a Veteran! June 15-22 is the week we celebrate National Nursing Assistants Week. This year it is the 40th annual National Nursing Assistants' Week, which provides a timely opportunity to foster and showcase the wonderful things that can happen for residents and workers when we join together in planning your special Week, "Nursing Assistants: Specialists in the Art of Caring." The week of June 12-18 is designated as National Men's Health Week to heighten the awareness of preventable health problems and to encourage early detection and treatment of disease among men and boys. To learn more, visit MensHealthMonth.org. June 9th: Combating Violence in Our Communities and Our Hospitals. Our communities must work together to combat all forms of violence, now viewed as one of the major public health and safety issues throughout the country. Community action programs such as those being undertaken by our nation's hospitals and health systems (alone and with others) are needed now more than ever to help address violence and the toll it takes on our communities and hospital colleagues. Explore this www.aha.org webpage for information on national, state and local efforts to help end violence in our communities, and to help hospital employees cope with the impact of violence, whether at home, on the job or in their neighborhoods. We are joining forces with local businesses in our community. Here are 2 more examples of our involvement in Dent County that recently occurred: Dent County Health Equity Local Partnership (HELP) and Healthy Dent County Prevention Coalition are forming to make a better community in which we live. Without the training and quick response to your emergency, where would you be? ER AND EMS PRACTITIONERS are celebrating a special week during May 21-May 27, as they provide both Basic and Advanced medical care. Join SMDH as we celebrate our ER and EMS team for their dedication and compassion as they save lives. Tell the next nurse you see or know HAPPY Nurses Week. The official week celebration starts on 5/6, but go ahead and let them know you appreciate their work in giving quality care to you, your friends and family whenever you are in need of their special services. MHA celebrates National Hospital Week, May 7-13, 2017, noted as the nation's largest health care event. This year's theme is "Health Care from the Heart," which is fitting based on the huge hearts of Missouri hospital staff who deliver hope, humanity, honesty, heroism and more to patients daily. To read more, go to MHA's website article. In April we celebrate Occupational Therapy Month. So when you see any of our Rehab services staff, give them a big THANK YOU for their help in mending our community members to lead a more productive life. MHA celebrates National Healthcare Volunteer Week. President Richard Nixon established National Volunteer Week with an executive order in 1974, as a way to recognize and celebrate the efforts of volunteers. Since then, the original emphasis on celebration has widened; the week has become a nationwide effort to urge people to get out and volunteer in their communities. Every April, charities, hospitals and communities recognize volunteers and foster a culture of service. Join your peers nationwide during this year's National Healthcare Volunteer Week, April 23-29. This is an opportunity for you to recognize the integral role volunteers play in improving patient engagement, patient experience and quality. SMDH thanks all the Auxiliary members for their hard work on fundraisers that help our hospital to fulfill projects that our tax dollars cannot be stretched to cover. Per the Missouri Hospital Association: The National Weather Service and the State Emergency Management Agency have declared the week of March 5-11 as Severe Weather Awareness Week for Missouri. The goal of the week is simple: SAVE LIVES! The best way to save lives is to be prepared, have a basic knowledge of severe weather safety rules, and have a severe weather plan in place. Knowing what to do or where to go when severe weather threatens can be the difference between life and death. Salem Memorial District Hospital is proud to announce we received the Missouri Time Critical Diagnosis System Level IV designation on 11/30/16. We thank all of our physicians and employees that made this designation a reality to better serve our patients. You can also learn more about how to recognize strokes here. Remember, we are committed to every patient, every encounter, every time. The Missouri Time Critical Diagnosis System for trauma, stroke, and STEMI (a specific type of heart attack) is implementing four levels of hospital designation across the state. The center designation and the level is a voluntary designation for which a hospital can apply. These center designations reflect a range of hospital-based functions within the emergency medical care system and each plays a vital part in the system. Level I Centers function as resource center within a region, for example maintaining specialized resources for the most complex patients. Level II Centers generally provide definitive care to high volumes of trauma, stroke and STEMI patients within a region. Level III Centers play an important role in providing access into the system and important patient care in non-metropolitan areas, and generally refer to a higher level center for definitive care. Level IV Centers, a key entry point into the system, provide access into the system in rural areas and stabilize and prepare patients for rapid transfer to a higher level of care. Salem Memorial District Hospital is a proud partner in the newly formed "Feed Dent County" organization, dedicated to improving health by providing better nutritional food options for local low-income residents. To learn more, read this write up in TheSalemNewsOnline article. 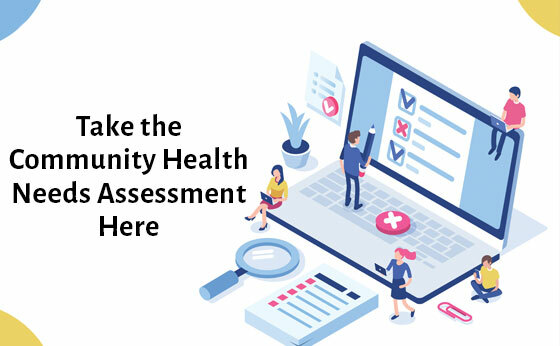 Our Community Health Needs Assessment survey has targeted Obesity as a top area health concern. Read more about Obesity and cancer risks here. SMDH is proud of the veterans we have hired in our workforce. Here's a salute to all veterans on this day to thank each of our county's veterans for their service. Have you thought about your future needs? We have a program for you to learn about making important life choices. Join us on August 16th at 5pm @ the Armory. SMDH received a Heart Lifeline Alliance award by having the lowest time for STEMI care from arrival to departure (DIDO) from our Emergency Department to the next care facility. We are very proud of this initiative to improve our patient's chances for a better outcome during this health event. Progress to Celebrate: Saving an estimated 50,000 lives and $12 billion in health care costs is something to celebrate. Congratulations to the 3,700 acute-care hospitals, including SMDH, that have participated in one of the Hospital Engagement Networks (HENs) that are part of the Centers for Medicare & Medicaid Services' Partnership for Patients. Hospital Engagement Networks are a big reason that, between 2010 and 2013, hospital-acquired conditions fell by an impressive 17%, according to a report from the Agency for Healthcare Research and Quality on the national HAC rate for Partnership for Patients measures. Adverse drug events (down 44%), pressure ulcers (down 21%) and catheter-associated urinary tract infections (down 14%) are just some of the areas of improvement. MHA released the Hospital Engagement Network 2012-2014 project report. The report details the results of the three-year project, which resulted in 9,060 patient harms and $91.7 million dollars saved. SMDH was noted as 1 of only 22 hospitals having achieved 40 percent harm reduction and 20 percent readmissions reduction by the end of the HEN contract of the 97 participating hospitals in Missouri.